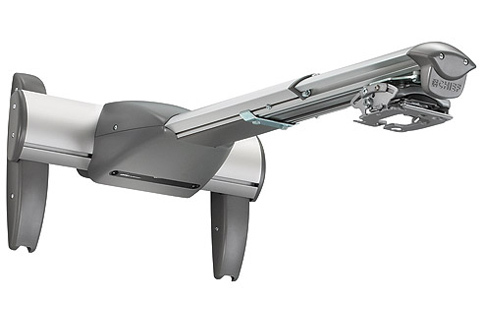 Interactive Projector Wall Mount (with Lens Shift), 18-30"
The Chief manufacturing interactive short throw mount utilizes eBeam technology to make any projector interactive. It is universally compatible with short throw projectors for an easy upgrade path. The mount includes robust interactive software for real-time annotation and more dynamic presentations. Built-in interactivity powered by eBeam Technology makes any projector interactive.